Join Fayetteville NOW and its coalition partners, on 3/19/18, at 6pm, Pate Room, Main Library, for the showing of the documentary, “Race: The Power of an Illusion.” This documentary questions the belief that racial differences are innate. A facilitated discussion follows the viewing of this film. 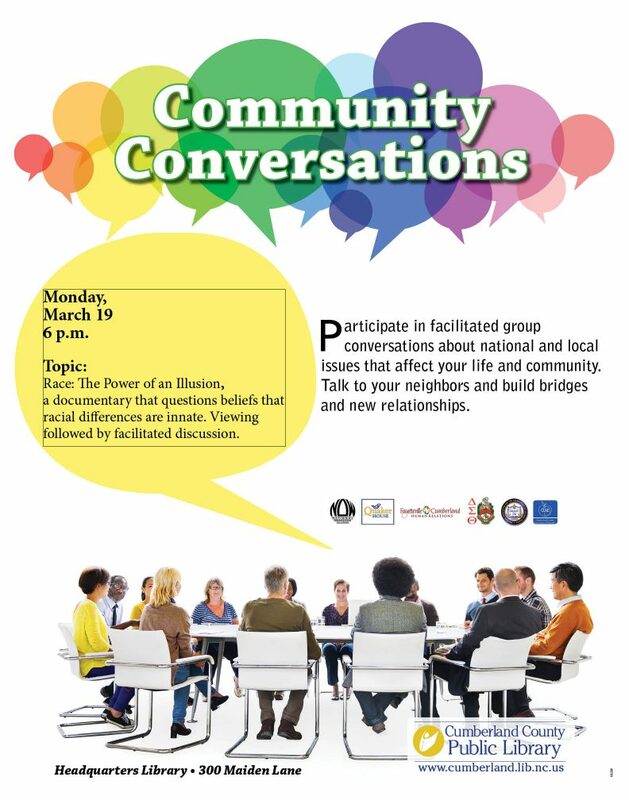 The coalition is a partnership between the Fayetteville-Cumberland Human Relations Commission, Cumberland County Association of Educators, Cumberland County Public Library, Delta Sigma Theta Sorority, Inc., the NAACP, NOW and the Quaker House. The Fayetteville Observer announced the event in article “Human Relations Commission to hold conversation on race,” on 2/27/18.